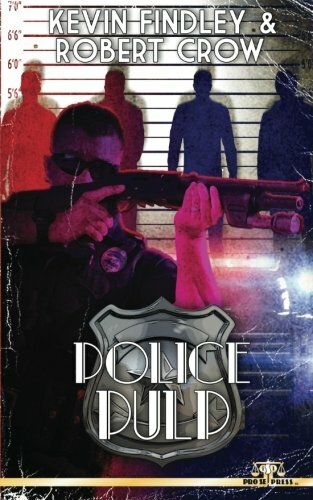 Pro Se Productions and authors Robert Crow and Kevin Findley take a hard boiled look at life behind the badge and the sacrifices that officers make every day to protect those they love, those they will never meet, and even those they pursue in POLICE PULP, now available in print and digital formats. Dark alleys. Hole in the wall dives. Bloody murder scenes. Places where criminals travel regularly. But they’re not the only ones. Men and women, in uniform or plainclothes, carrying badges and risking their lives every day follow them into the shadows. And sometimes the darkness is so thick that even those commissioned with keeping the law may never see the light again. POLICE PULP. From Pro Se Productions. Featuring a thrilling cover by Kent Holloway and cover design and print formatting by Antonino Lo Iacono and Marzia Marina, POLICE PULP is available now at Amazon at https://www.amazon.com/Police-Pulp-Robert-Crow/dp/1973775093/ref=sr_1_3?ie=UTF8&qid=1501292079&sr=8-3&keywords=police+pulp and Pro Se’s own store at www.prose-press.com for 10.00. This terrific crime anthology is also available as an Ebook, designed and formatted by Lo Iaconoand Marina for only $2.99 for the Kindle at https://www.amazon.com/Police-Pulp-Kevin-Findley-ebook/dp/B0749D7P34/ref=sr_1_1?ie=UTF8&qid=1501292079&sr=8-1&keywords=police+pulp. POLICE PULP is also available on Kindle Unlimited for free to Kindle Unlimited members.